Window objects act as containers for your app’s onscreen content, and screens report the characteristics of the underlying display to your app. Use these objects to manage the content that you present onscreen. Every device has at least one UIScreen object representing the device’s main screen, and additional screen objects represent connected displays. 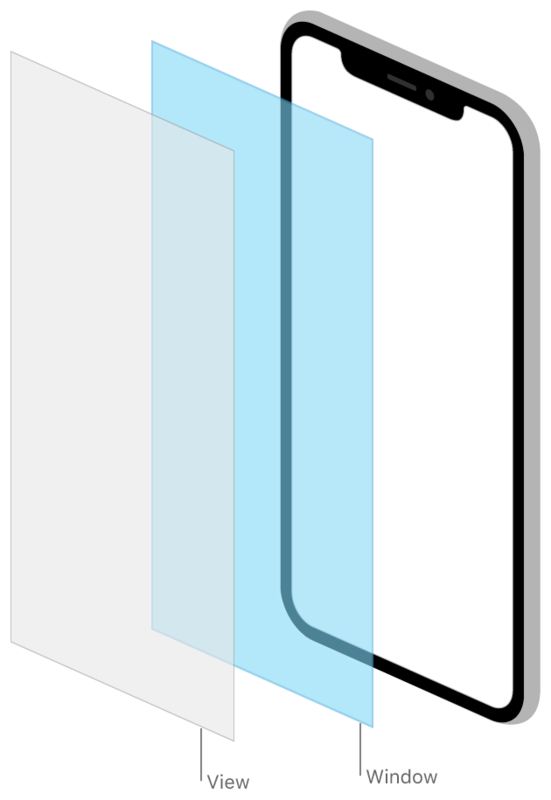 A UIWindow object provides no visible content of its own. All of the window's visible content is provided by its root view controller, which you configure in your app's storyboards. The window's role is to receive events from UIKit and to forward any relevant events to the root view controller and associated views. UIKit provides an initial window for you to use, and you can create additional windows as needed. For example, you create new windows for additional screens connected to the device.